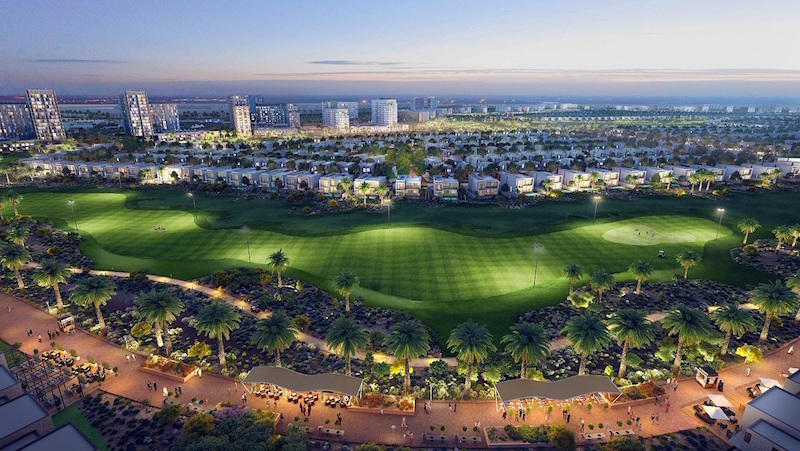 ubai developer Emaar Properties has unveiled the third phase of villas in its mega golf development Emaar South. The launch follows “the sell-out response to the launch of its first two phases”, Emaar said in a statement. The second phase was launched in mid-January. Phase III of the expo golf villas includes a limited collection of three and four-bedroom units sized between 110sqm and 140sqm. The units are located next to an 18-hole championship golf course. The villas will offer “strong return on investment and long-term value appreciation, with research by KPMG and the American National Association of Realtors proving that golf courses have historically boosted the value of nearby properties by as much as 20 per cent”, the statement said. The villas are priced from Dhs999,888 onwards with Emaar offering an extended payment plan over five years. Expo golf villa residents will have access a gym, an outdoor swimming pool, kids’ playing area, a community centre and parks and walkways. A joint venture with Dubai South, Emaar South is a 7 square kilometre project which will feature townhouses, villas and apartments along with walking and bicycle trails and a public transport network. It was launched in 2016. It is aimed to cater to demand within the 145 sq km Dubai South development including those working at the Al Maktoum airport, Aviation District, Business Park, Exhibition District and Humanitarian District and Logistics District. The launch of the new units comes even as Dubai’s property market continues its slump, with residential real estate prices down by 11.1 per cent in 2018, according to a report by ValuStrat. According to property consultancy Savills, prices were down between 6 to 10 per cent in 2018, with a similar drop forecast for 2019.